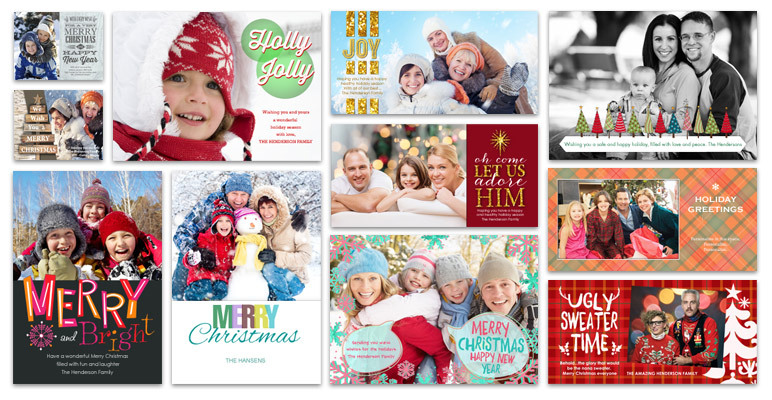 The New 2015 Greeting Cards Are Here! Over a hundred new and fresh designs for your customers to choose from. 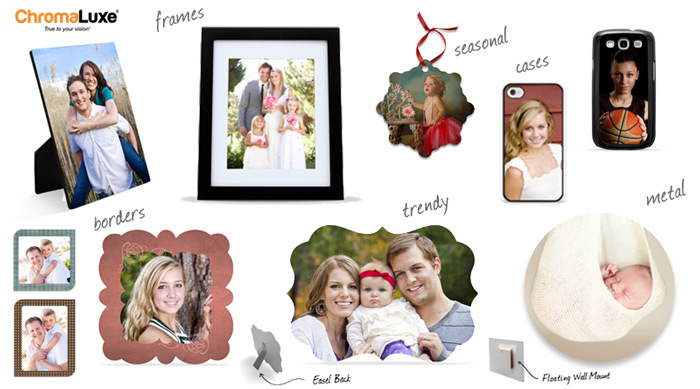 We are pleased to announce the release of our new holiday templates for your PhotoReflect storefront. From 4x8 to 5x7 your clients will find all kinds of styles to share their photo with friends and family for the holidays. If you haven't already done so, now is the time to turn on greeting cards in your package groups. Login into your account here, go to Products, and set your pricing for Greeting Cards. Orders are processed at the PhotoReflect Lab with a 24 to 48 hour turn around time and drop shipped straight to your client. Join us in Vegas on March 2-4, 2015 at the WPPI Expo. The WPPI Wedding & Portrait Photography Conference+Expo is the premier industry event for photographers specializing in the creative and business aspects of wedding and portrait photography. Each year, nearly 13,000 professional and aspiring photographers attend WPPI to learn new techniques from industry leaders, build new relationships to grow their business, experience new products and solutions from major manufacturers to improve their productivity, and enjoy the many attractions in Las Vegas. Stop by and visit us at Booth #1257 with our partners Darkroom Software and Imaging Spectrum. Let us show you how easy it is to sell your photos online. Join us in Nashville on February 1-3, 2015 at Imaging USA, the largest annual convention and expo organized by pro photographers, for pro photographers. Stop by and visit us at Booth #655 with our partners Darkroom Software and Imaging Spectrum. Let us show you how easy it is to sell your photos online. We are excited to announce the addition of new products for your PhotoReflect storefront. The PhotoReflect team is always working to develop new ways to help increase your revenue. Our research shows that these new products are high in demand this holiday season. Let your customers turn your photo into the perfect gift during the upcoming holidays. From frames, to metal prints, to ornaments, to phone cases our premium quality products will be a hit with your customers and increase sales year round. The PhotoReflect team is always working with our photographers to develop new features to improve your workflow and help you sell more photos. The latest release of the PhotoReflect Website and Software is one of the most feature packed and significant in recent history. • New Faster Publishing This means your photos are in front of your customers and ready to sell even faster. • More Robust Publishing This means less headaches for you, even if you experience bad internet connections. Also, un-publishing events now just makes them unavailable without totally removing them. So it keeps your event links valid. • Auto & Scheduled Publishing You can publish as you are adding photos or set specific times day or night to kick off your event uploads. Let Publisher do the work for you. • Live Folder Import & Publishing You can monitor an event folder that will import photos and sub-events as they are added to the folder. You can also tell it to auto publish as they are added. This is great for live events and makes it an easy single click setup for daily events. • Photo Data Import, add or enter custom fields and data for each photo in an event. Use school data to require students to enter their info to safely access their photos. Use sports data to allow quick searching by name, jersey number or bib numbers. • Multi Level Sub-Events This means that you are no longer restricted to just events and sub-events. You now have an almost unlimited number of levels. This was requested by are sports an tournament photographers so they can better subdivide the teams and categories. • Auto Print/Send to lab Enable Auto Print and as soon as you receive an order it will be sent to the lab. You just need to leave publisher running. You won't be able to proof the order since it sends the order and files immediately. • Event Availability We added this option to allow you to set whether an event is to become available and visible to your customers after publishing. You can now publish incomplete events during the day and then make them available when you complete them. This means you won't have to wait to start publishing. • Sub Event Passwords You can now have passwords for any sub-event, not just the main event. • Package Specials You can now create up-selling package specials with rules. This allows you to have packages and prices dependent on the purchase of other packages. As an example "Buy the Gold Package and get a an 8x10 print for half price". • Targeted Gift and Promos Gift Certificates and Promo Codes can now be created to target a specific package instead of a dollar amount. As an example you can create a gift certificate for a free digital download only. • Buy All Digital Downloads This makes it super simple for your customer to buy all of the photos in their events. • Darkroom Sync We did not want to leave out our Darkroom customers from using the new features. So we created Auto Darkroom Sync to allow all of Darkroom catalogs to be automatically added to Publisher. You can publish from Publisher and still be able to edit and print the order in Darkroom.